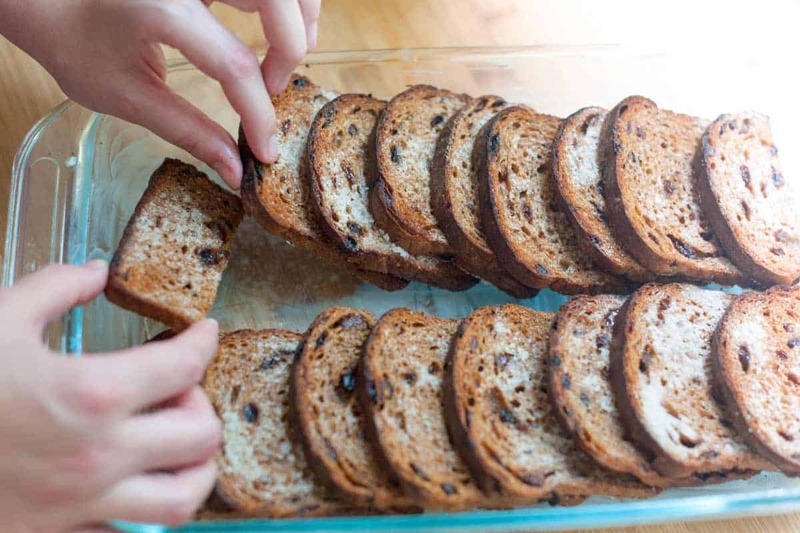 How to make baked French toast with cinnamon raisin bread. 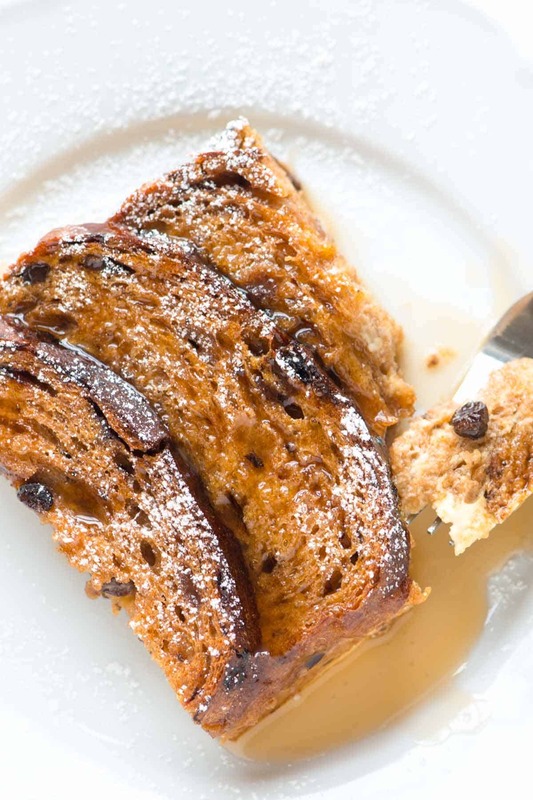 Jump to the Baked Cinnamon Raisin French Toast Recipe or read on to see our tips for making it. 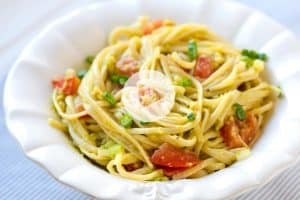 This recipe is inspired and adapted from one of our favorite food bloggers / cookbook writers, Smitten Kitchen. If you like the sound of this recipe, we highly recommend taking a look at her book, The Smitten Kitchen Cookbook. 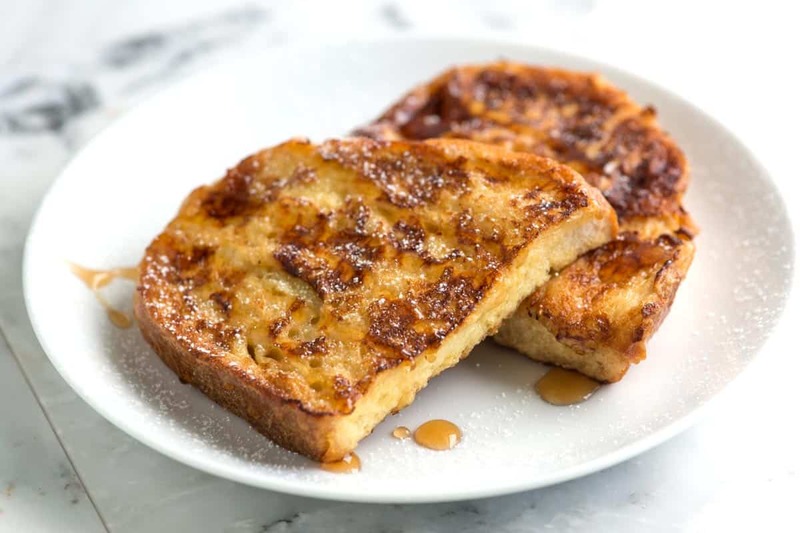 YOU MAY ALSO LIKE: This easy French toast recipe is seriously good – you only need 30 minutes and a few simple ingredients to make it. Jump to the Easy French Toast Recipe. 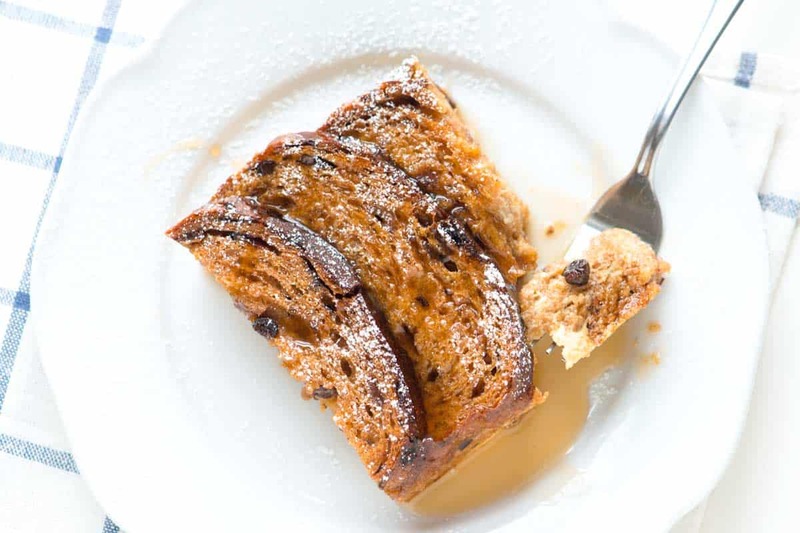 We adore our original French toast recipe, but if we are cooking for more than 4, this baked French toast recipe is where we turn. To make it, generously spread each bread slice with butter and sprinkle with a little cinnamon sugar. Then bake the buttered slices in the oven until toasted and the sugar has some crunch. 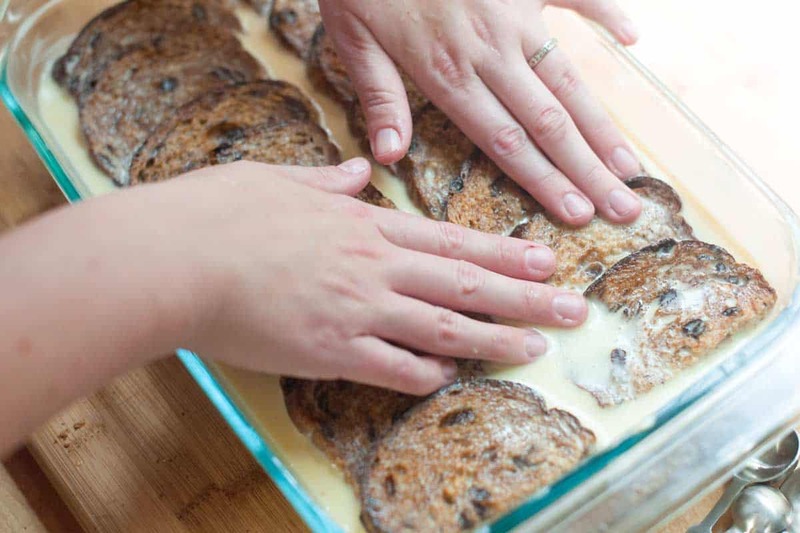 After they cool off a bit, layer the bread in a baking sheet and pour over a mixture of milk, eggs and vanilla. Set the baking dish aside for 15 minutes or so and give the top of the bread a push to help absorb some of the custard. Make ahead: Instead of waiting 15 minutes, cover and refrigerate overnight. After about 30 minutes in the oven the French toast will be puffed and golden. Slice into squares and serve with maple syrup and butter on top. YOU MAY ALSO LIKE: Enjoy this baked oatmeal with fresh blackberries and caramel sauce for breakfast or even for dessert. 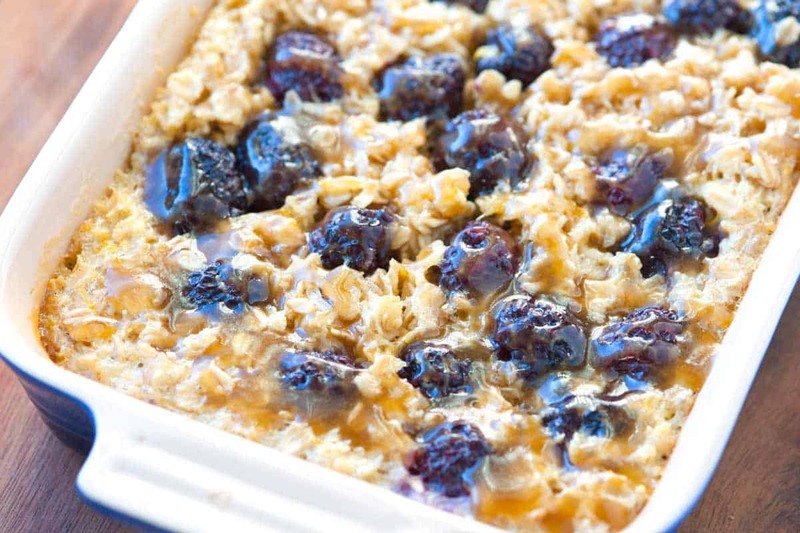 Jump to the Blackberry Baked Oatmeal Recipe. This takes our beloved French Toast up a couple notches. Instead of standing, patiently waiting for custard-soaked bread slices to cook in a pan, they are lined up in a baking dish, soaked in vanilla custard and baked until puffed and golden brown. We use cinnamon raisin bread for this, but basic sandwich bread will work nicely. Heat the oven to 450 degrees F. Line two baking sheets with foil. In a small bowl, whisk the sugar and cinnamon together. Place the bread in one layer onto the baking sheets. Spread each slice with a little butter and sprinkle with about a teaspoon of cinnamon-sugar — you might have some cinnamon-sugar leftover. 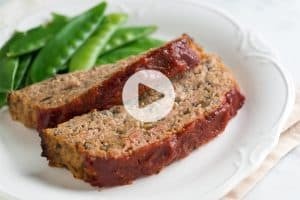 Slide the baking sheets into the oven and toast the bread until golden and until the cinnamon-sugar top has a slight crunch, 5 to 10 minutes. Reduce the oven to 375 degrees F and let the toast cool slightly. Butter a 9-inch-by-13-inch baking dish. Cut two slices of the toast in half horizontally. You will have two top-halves (with the curved crust) and two bottom-halves. In a medium bowl, which the milk, eggs, salt and vanilla until blended then pout over the toast in the baking dish. 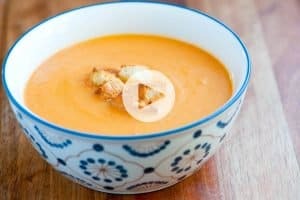 Use a spatula or hands to gently press the toast down into the custard then let it sit for 15 minutes and up to overnight so that the custard absorbs into the toast. Bake the French toast until puffed and no liquid seeps out of the bread when they are pressed, about 30 minutes. Cut into squares then serve with maple syrup and more butter. 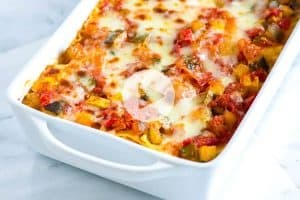 This recipe was inspired and adapted from The Smitten Kitchen Cookbook — a cookbook we highly recommend buying for yourself. I was really excited about making this! I wanted to surprise my boyfriend with something delicious to wake up to on christmas morning. I followed the recipe exactly, but it didn’t turn out so the well. The front pieces of the toast burnt while the backs of them were still completely soggy. Like the above comment, It didn’t taste as I expected, for all the effort you put into making it you might as well just have a piece of toast, it would have been more enjoyable. I won’t be making this again. Hi Mary, We are sorry you did not enjoy the recipe. I followed the recipe exactly as stated except that I used maple extract. It was a little confusing because in one place the recipe stated 2 tsps. and in another it said one tablespoon. I did use the tablespoon. I thought it was just an ok dish. I really prefer my cinnamon raisin bread just toasted and topped with butter. I don’t think I will be making this again as it didn’t wow me for all the sugar and butter involved. Hi Barbara, We fixed the mistake, sorry about that! Looks great. Did you use new bread or day-old? It was a day old, however, most of the cinnamon raisin breads we’ve bought are pretty hardy. So, you could make this the same day. Love french toast (we call it “wentelteefjes” here in Holland), but haver never tried a baked version. It sounds convenient and looks delicious, so I think this will be my breakfast very soon!